This is part three of a four-part series. I’m examining the website, teachings, and women of “She Reads Truth” in 2 parts (What They Say, and What They Do). Part 3 (this part) looks at the conference known as the “IF:Gathering” in which many of the She Reads Truth women are involved. In part 4 I will discuss women teachers in general from a biblical perspective, and provide a list of solid teachers (men and women) of the Word. I like being in a discernment ministry. How could I not? One of the Spiritual Gifts is Discerning of spirits. (1 Corinthians 12:10). If the Spirit sees fit to distribute gifts as He chooses and He chose this gift for me, to hate it would be rebellion. I do not want to suffer from gift envy and secretly covet another’s gift. I also do not want to suffer from the sin of gift projection, where just because discernment comes easily to me I think everybody should be discerning. There are people in my church with the gift of hospitality and I sure wouldn’t want them to project their gift onto me by secretly berating me because I am not hospitable enough. See this article by Tim Challies FMI on gift envy and gift projection. 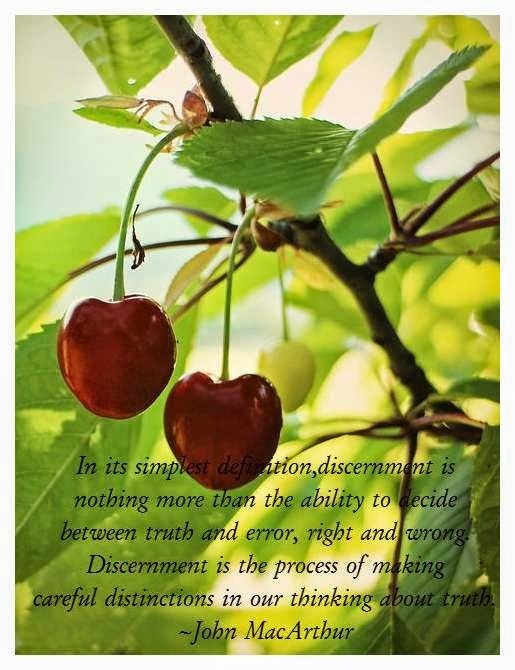 Discernment comes easily to me because the Spirit made it that way. It is HIS intelligence and enabling, not mine. To be sure, I use the gift He has given me firstly in the body of Christ, in my local church, where I warn, admonish, encourage, and exhort. That is the point of gifts, to edify in the local body. 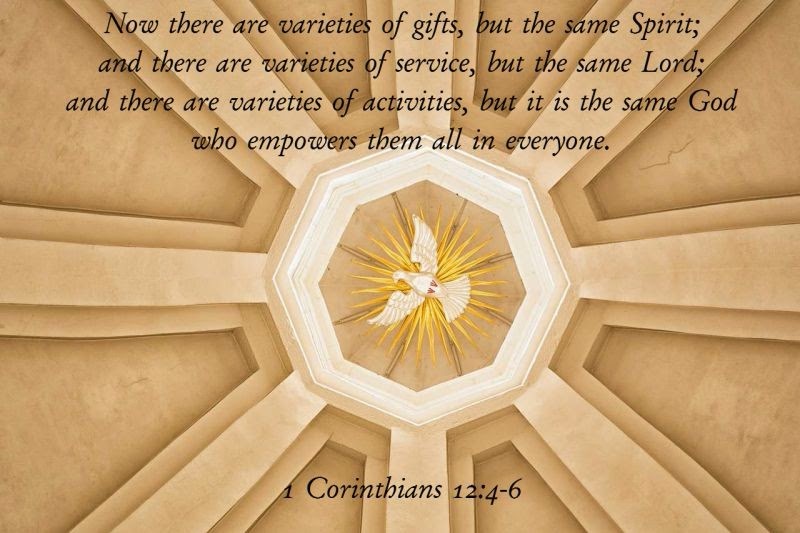 (1 Corinthians 14:12). One of the warranted criticisms of discernment ministries comes where people become armchair Christian quarterbacks from home and are not in a local church. An unwarranted criticism of discernment ministries is their openness, online. Some say that all that negativity should be kept quiet, to stay within the walls of a local church, and not name names so distastefully publicly. As mentioned in the series part 3, satan sure is using technology for HIS purposes. We should be using ours also wherever the battle is, given time and priorities. Because we live in such a technological age, in addition to using His gift at church among the people with whom I’ve covenanted, I also use the gift He has given me online. If you want to see a manifestation of the Spirit, employ the gifts. (1 Corinthians 14:12). It’s as simple as that. No one gift is better than another. No gift is worse than another. We are all in a body. However another warranted criticism of discernment ministries is that many of them cry wolf at every leaf blowing in the breeze, like an undiscerning puppy chasing after both the withered leaf blowing by and the burglar at the door. It takes maturity and patience to discern. It also takes a great deal of watching, observing, noticing trends and movements. It’s not easy. Last, another warranted criticism of discernment ministries is that some only point out problems and do not offer solutions or encouragement. It is very easy having been given a jaundiced eye as it were, to sink into a ‘woe woe woe’ mentality. Easy. It takes work and prayer to stay balanced. Vigilance. We all have to stay vigilant for one thing or another, and in discernment ministries a balance should be given with some encouragement once in a while and some solution-offering more than once in a while. That is what this essay is about. I’ve pointed out the theological problems in the movement the She Reads Truth ladies are fomenting, and the dangers in the IF:Gathering. The ladies involved in both those endeavors are not worth your time. So who is? Where are the good teachers? If the She Reads Truth women are not profitable, who IS profitable? Where can a woman turn to be connected up with good female teachers? That’s what I’ll offer you in this essay. I do not want to leave you hanging! In discussing this matter, dear Sisters, I want to suggest something…you don’t HAVE to have a woman teacher. I know, I know, many women say they enjoy being taught by a woman because they have the same outlook, needs, priorities. Moms like moms. But Christianity isn’t always segregated. Yes, there are Titus 2 older women teaching the younger, but not everyone is a mom. Not everyone is the same age or place in the life continuum. We’re not learning the scriptures through our gender because the Word transcends gender. The man teaching you spiritual truths isn’t teaching the men different spiritual truths. Truth is truth. I understand that the bible suggests that women teach women. I know that the bible forbids women teaching men, so if you’re more comfortable with a female teacher, then by the grace of Christian liberty, that is fine! But I wanted to let you know you can consider a male teacher, your teacher doesn’t have to be a woman. One piece of advice, be very wary of any book study or blurb that touts the study or book is fresh. Fresh is usually just code for unbiblical. Why? An author who thinks they are seeing the bible’s doctrines in a fresh way just means that he thinks everyone else saw it wrong and he is just now discovering the true meaning. Not so. The bible is always fresh. Be wary of books that promote social justice or authors who seek it. Beware of books that use the word reconciliation, because that word is often used in a different way than the biblical way. Be wary if the author or a blurb reviewer is proud that the book or study will appeal to all denominations– this often a code meaning “Catholics, too” or “Mormons, too.” It’s implicit that a Protestant book will appeal to all denominations, because we’re all on the same side. If it appeals to “all denominations” they’re saying it will contain doctrines or concepts appealing to people who are not Protestant and who aren’t really a denomination. Beware of authors who use the word unity. As Dr. Ron Bigalke explains, The emphasis in Emerging Churches is upon mystical and sensual worship experiences that foster unity, as opposed to doctrinal truth that divides. It’s popular nowadays to seek ‘unity’ with the Roman Catholic Church, but this is a false unity that will result in the final unification of all peoples under the Antichrist and the False Prophet’s false religion during the Tribulation. The Reformation, which was a split off from the stranglehold the RCC had on the people, is in full force now swinging back the other way. Beware. Where can you find good information about the new book for women that all the moms are talking about? How can you get a glimpse or a clue as to whether a new devotional is any good, before spending money to purchase it? Bestseller lists? Reviews? About Us: Discerning Reader is a site dedicated to promoting good books–books that bring honor to God. At the same time, we hope to help Christians avoid being unduly influenced by books and teachers that are not honoring to God. We do not seek to be harsh or judgmental. Rather, we seek only to be discerning as we compare books to the written Word of God. We let the words of authors speak for themselves and simply hold the books up to the light of Scripture. In doing so, we are building a database of reviews which we feel cast a discerning light on the books that are found in Christians homes, churches and bookstores. They have NOT recommended Rick Warren’s Purpose Driven Life, Don Piper’s 90 Minutes in Heaven, or Beth Moore’s Get Out of That Pit. They DO recommend John MacArthur and Susan Heck. They offer reading lists and author interviews. Bookmark the site! Another trustworthy Christian book reviewer is Tim Challies is pastor, book reviewer and husband. He is a prodigious blogger and reviewer, so there’s a lot he has covered over the last ten years. He has a section on women and here is his page on recommended reads for women. Because I am a husband, I try to read at least the occasional book that is meant to encourage or equip my wife. Here are some of the best of the books I’ve read for women. Challies said, “One popular book for women I do not recommend is Created To Be His Help Meet by Debi Pearl.” You can find his review of that book on his site, too. If you like the books or studies by any of the recommended women at Discerning Reader or at Challies’ site, then expand your search to look for more material from the same women. Once you’ve found a trustworthy author, keep widening the circle to find more of her works. Search to see who she learns from or attaches to. We all know that the Victoria Osteen-Beth Moore-Joyce Meyer partnerships are not good, or that Moore mentoring Christine Caine and Caine mentoring the women at She Reads Truth/IF:Gathering are not good partnerships. Like attracts like. Bad company corrupts good morals (1 Corinthians 15:33; Proverbs 22:24-25). This works in reverse too. Good attracts good. While associations and partnerships alone are not an indicator of doctrinal trusworthiness, they do say a lot about a teacher. 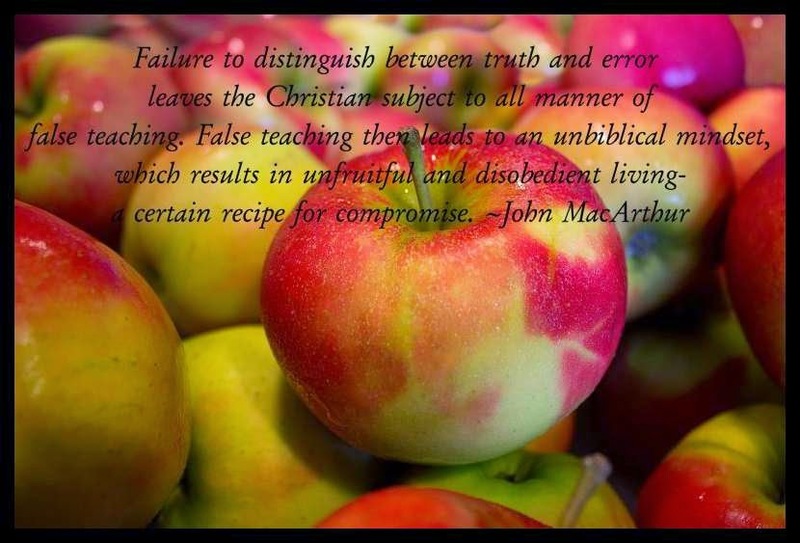 John MacArthur’s church and his Master’s Seminary are edifying many good men and women. At his Grace Community Church there is a huge women’s ministry called Every Woman’s Grace. The Sunday School lessons are broadcast and the curriculum outlines are online. Judy Lunenbrink is one of the GCC Sunday School teachers who I like. But any of them would be a good start. We are still Bereans and checking the scriptures, but you know if a teacher has come from the environment of GCC or The Master’s Seminary they bring with them a great deal of credibility because they have been educated on a solid foundation. Here is the page for some of the current sermons by women to women in the teaching ministry at GCC. Below you will find all the text associated with the women’s ministry at GCC, a ministry titled Every Woman’s Grace. You’ll have to search a little to find the video sermons/teachings that match up with these curricula & outlines, but you can search by teacher so that makes it a bit easier. There really is a lot at GCC for women, by women. All current files and documents available from Every Woman’s Grace. GCC has a Recommended Reading page too. Some of these books are written by men, others are written by women. At GCC you can go through a lesson each week by watching the video online. Most of the lessons are an hour long. For many moms or working singles/widows that is too long of a stretch of time to sit at one go. You can always watch for 15 minutes and then journal about it for a few minutes, and then resume the next day. In this way you have created a good devotional for yourself each day and then when the next Sunday rolls around you will be ready for the next lesson from the women at Grace Community Church. 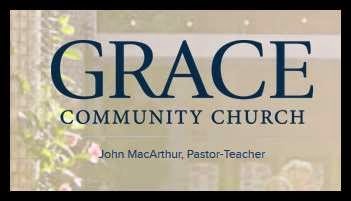 At MacArthur’s website, gty.org, there are many studies, small group curricula, workbooks, that are either free or a nominal charge. Please do take a look at the educational materials available to you there. Michelle Lesley: If you’d like to know more about me, personally, click on the “Bio” tab at the top of this page. If you’d like an in depth look at what I believe, doctrinally, click on the “Statement of Faith” tab. Wilkin’s book introduces a five-part method to bring about biblical literacy. Please read the review at the link above and consider Ms Wilkin’s book. Elizabeth George: She writes bible studies for women with her husband Jim, and her intended audience is women who want to grow in feminine Godliness. The Discerning Reader reviewed her books positively. A notable series is her “A Woman After God’s Own Heart.”. In Choosing Gratitude, DeMoss elevates gratitude to the status of spiritual discipline. She is convinced that Christians ought to be most the expressive people when it comes to gratitude. DeMoss does not want this to be another good book that we forget about as soon as we’re done reading it. Therefore, she provides a 30-Day Devotional Guide to help us begin practicing gratitude. 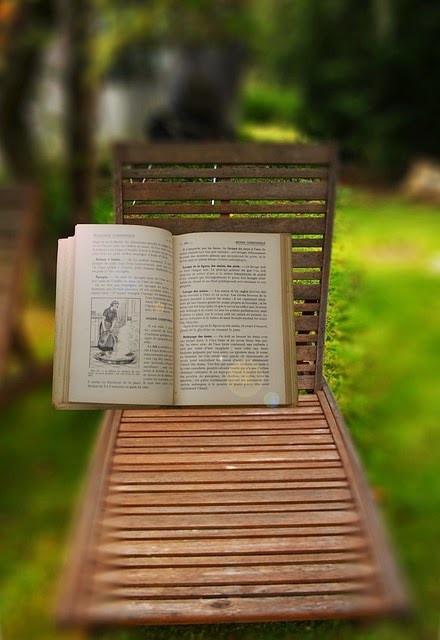 Each reading includes a scripture passage, a meditation that further discusses the content of the book, and practical exercises to help us become more thankful people. 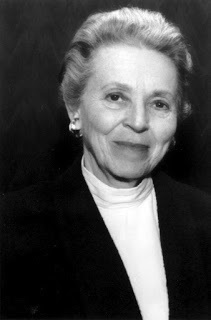 Elisabeth Elliot. I mentioned her in a previously unconnected blog essay. She was the wife of Jim Elliot. Her talk to women given some years ago, which is available on Youtube, “Under the Shadow of the Almighty, about Psalm 91:1, is one of the best talks I’ve ever heard aimed as missionary women. Jim and Elisabeth Elliot were on mission in Ecuador in the 1950s and Jim was killed by the Auca Indians. Their mission and the men’s death (four others were killed that day also) was made into a movie, “The End of the Spear”. Elisabeth wrote about it from her perspective, in the autobiographical book “Through the Gates of Splendor, along with 20 other books she has written. Kay Arthur Precepts for Life, programs, lessons, etc. are studies that teach you the bible but also teach you how to study the bible. Mrs Arthur has been around for years and decades, so that means she has a wealth of studies to enjoy! I’ve taken three of Kay Arthur’s studies myself. Yes I am aware that her ‘About Us’ page says her studies are appealing to ‘all denominations’. In her case that is not code for “Catholics too”. As a matter of fact I read on several forums that Catholics take umbrage at her sola scriptura approach. This is to Mrs Arthur’s credit. The ‘all denominations’ mantra is not a maxim but simply something to watch for, particularly when younger women say it. Martha Peace The page has free online resources such as Audio Teaching Sessions, Video Teaching Sessions, Counseling the Hard Cases, Downloadable Bible Studies, Salvation Worksheets, Sanctification Bible Study, Put Off/Put On Bible Study etc. Her book The Excellent Wife was recommended by The Discerning Reader. Susan Heck With The Master. She is a biblical counselor, has resources available and studies (for purchase) and also is on the radio to listen for free. More at her page. 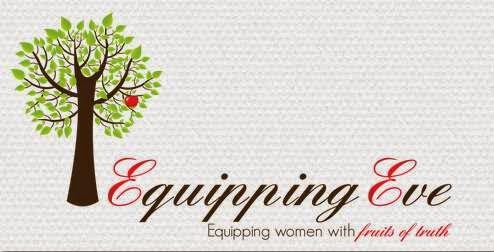 At Equipping Eve you will find articles addressing the topics of sola scriptura (God did NOT ‘tell’ you), doctrine, the role of women in the church, Roman Catholicism, and more. There are twice-monthly 30-minute radio programs archived, and other resources. Free. Aimee Byrd is Housewife Theologian, blogger, author, book reviewer and part of a triumvirate along with Carl Trueman and Todd Pruitt at the radio show Mortification of Spin. She wrote the book Housewife Theologian: How the Gospel Interrupts the Ordinary. Ladies if you are looking for a solid, moving, and worthy devotional, I personally believe there is none better than Charles Spurgeon’s Morning and Evening. As a bonus, during the month of January 2015, Christian Audio is offering a FREE recorded version this month, as their free audio of the month. Other men to learn from! Martyn Lloyd-Jones. Years of sermons here. They are breathtaking in deep understanding of the word and worthy of your attention. A new documentary coming out on his life, too, in April 2015. He was called “Logic on Fire” and so is the film. S. Lewis Johnson. With his comforting twang and slow delivery saturated with love for his people and for Jesus, you can benefit greatly from his sermons. They are online, and also are transcribed so you can print them or follow along while you listen. Along with Spurgeon, Lloyd-Jones and MacArthur, Johnson is a titan preacher of the faith. You cannot go wrong listening to these men but only grow in love for the word as it is patiently and correctly explained to you. Hearing the verses explained about women, motherhood and the women of the bible will only benefit you in your spiritual education, as well of course as the doctrines and theology of other topics in addition to these so many women are interested in. Sermons and transcriptions here. J. Vernon McGee. Born in 1904, the Lord took this ordinary man and made an extraordinary ministry from it. McGee led a church as pastor for 21 years, then moved McGee to radio, where he taught the bible over the airwaves for another 23 years. Through the Bible radio ministry is still ongoing. Archived McGee sermons can be found at OnePlace, here. It goes without saying that any books, studies, or devotionals Spurgeon, Lloyd-Jones, MacArthur, Johnson, McGee, or Begg wrote are also good food for you. I hope this encourages you. Though Christianity is rife with false teachers, many of them women gunning for YOU dear Sister, there are good teachers out there of both genders whose life mission is to feed you good food. The Lord is good and kind. He raises up people for each generation and does not forget His sheep. He is mindful of you, sorting laundry, corralling kids in the grocery store, reading bedtime stories when you would like to be in bed yourself. He knows your life in all its mundanity and glory. He has women and men out there for you to learn from. Jesus loves His daughters very much. 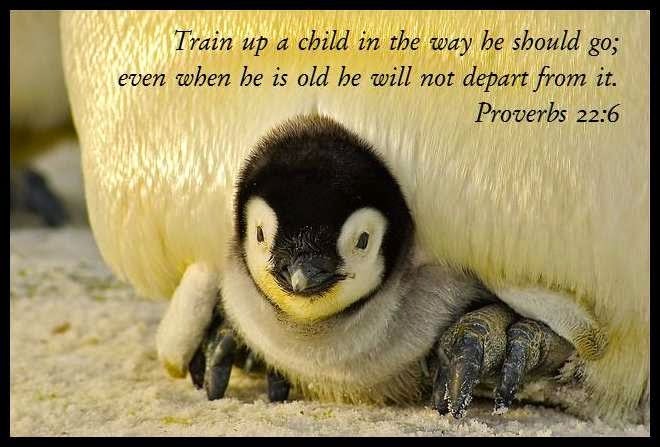 If you ask Him for the good gift of wisdom and discernment He will give it to you. If you ask Him to lead you to good educational materials and good spiritual food, He will do it. He is a loving Father who protects us. Ask. Seek. Knock. Why does the world love Billy Graham?